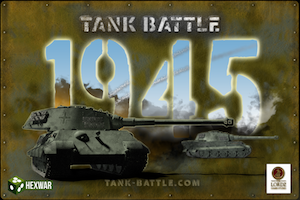 Tank Battle: 1945 update now available! – In ‘Vienna’ scenario, Firefly units replaced with M4A2 76’s for accuracy. – The ‘Hademstorf’ scenario victory conditions have been improved. – ‘Hatten-Rittershoffen’ scenario has been updated so objectives changing are made clearer. – The German PaK40 transport unit will now dismount correctly to artillery. – UI Improvements have also been made.